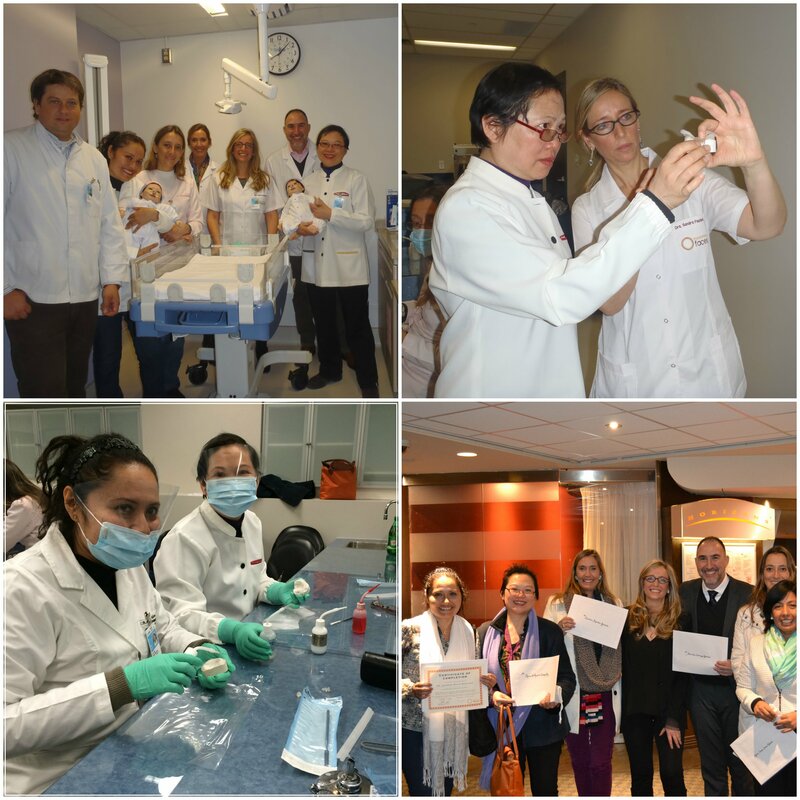 In February 2015, six medical professionals from Transforming Faces’ partner organizations in Peru, Chile and Argentina arrived in snowy Toronto for our first-ever collaborative medical training program with the Hospital for Sick Children (SickKids) and the University of Toronto Faculty of Dentistry. During the intensive three-day course, participants learned how to make and use a nasoalveolar molding (NAM) appliance. NAM is a proven, cost-effecti ve technique used by orthodontists to reshape the nose, gums and lips of an infant with cleft lip and palate prior to surgery. 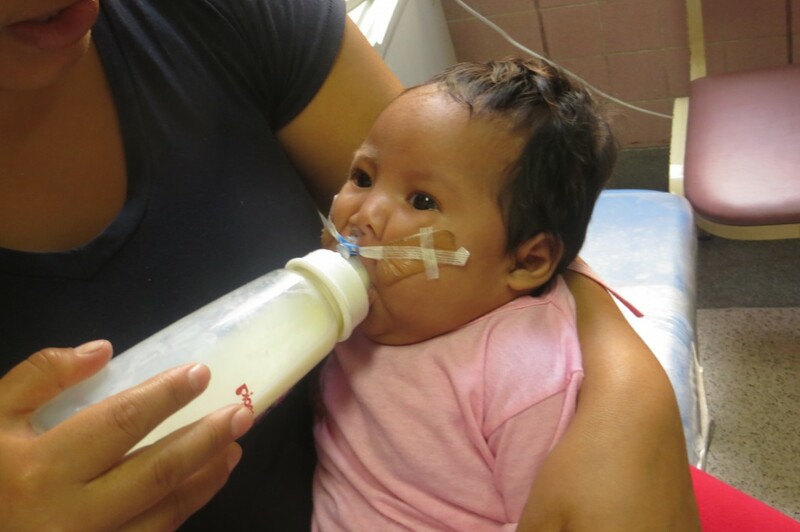 It helps reduce the severity of the cleft pre-surgery and, as a result, can significantly reduce the child’s facial scarring and the need for additional surgeries. 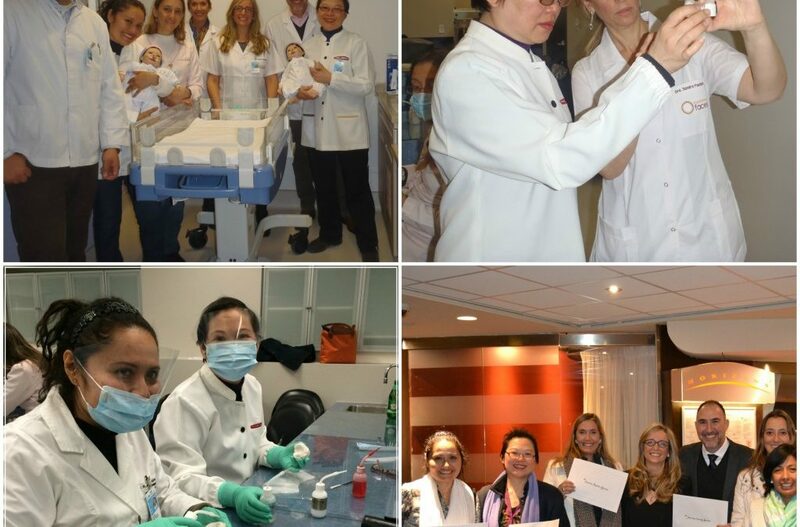 Through the training course, participants gained the skills needed to apply the NAM technique in their home countries as part of a multidisciplinary care approach. They were each also tasked with training another professional at their respective health facilities. In addition to improved patient care, the NAM initiative has yielded many unanticipated, positive results. The six committed professionals trained in Toronto continue to support each other by exchanging ideas and lessons learned. Many of them are also exploring opportunities to increase the use of NAM throughout South America, and, as a result of their efforts, community awareness on the importance of NAM has increased dramatically. This initiative is a powerful example of how training initiatives and South-South collaboration are improving the quality of cleft care in our partner countries. TF would like to thank everyone who made the course possible including: Dr. Sandra Fastlicht, Dr. Bryan Tompson and the amazing team at SickKids, the University of Toronto Faculty of Dentistry, and Dr. Bruno Vendittelli. We would also like to thank the training participants for their commendable commitment to this project.